Research shows that lack of showers is one of the biggest barriers facing people who run, cycle and walk (fast) in cities. Getting a sweat on is a good thing. Staying hot and bothered afterwards… less good. 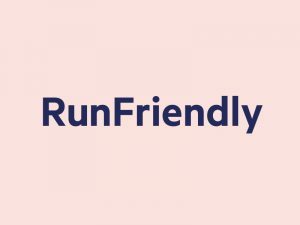 We’re RunFriendly and we’re like Airbnb for showers. We match (and help grow) demand among runners & cyclists with under-utilised showers & changing facilities in hotels, gyms etc. With a simple subscription model, we’re helping more of us move actively whatever the weather – whilst helping hotels, gyms & other venues sweat their assets to generate new income. We imagine a future when running (and cycling) to meet friends, go to the cinema or to work is every bit as normal as jumping in the car or on the bus is today.